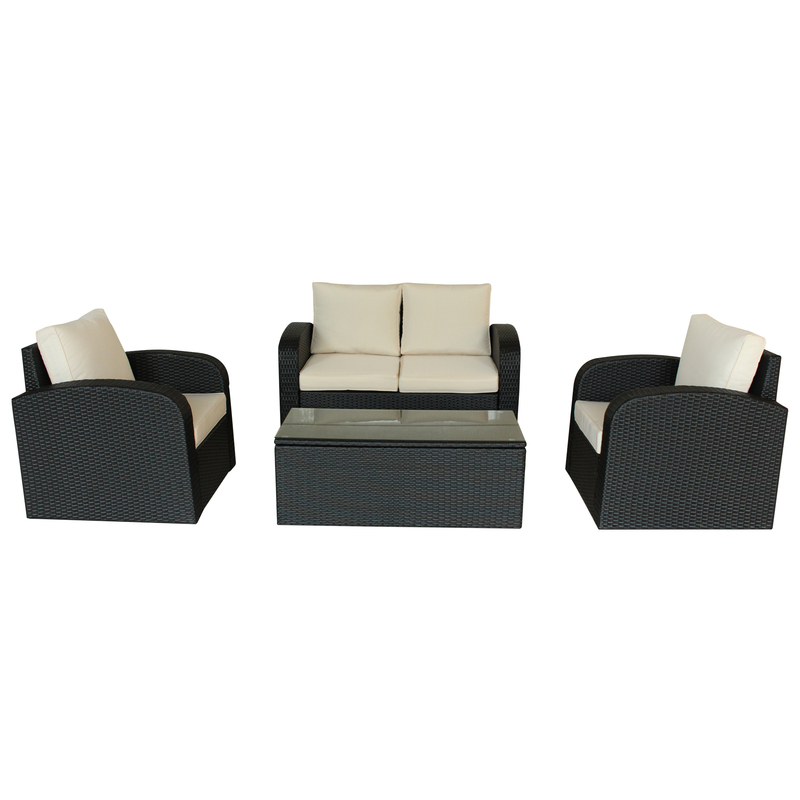 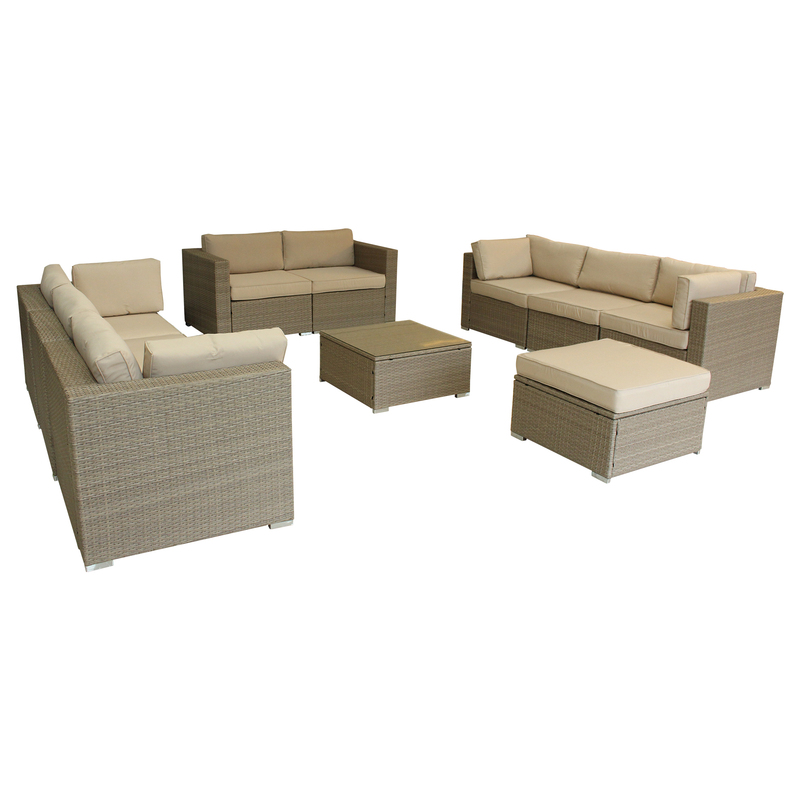 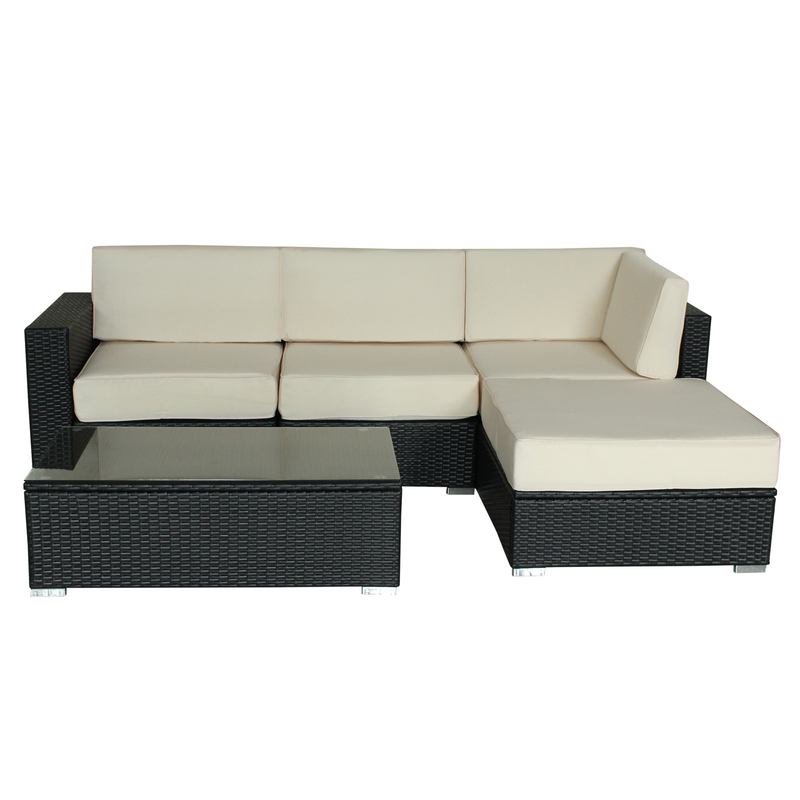 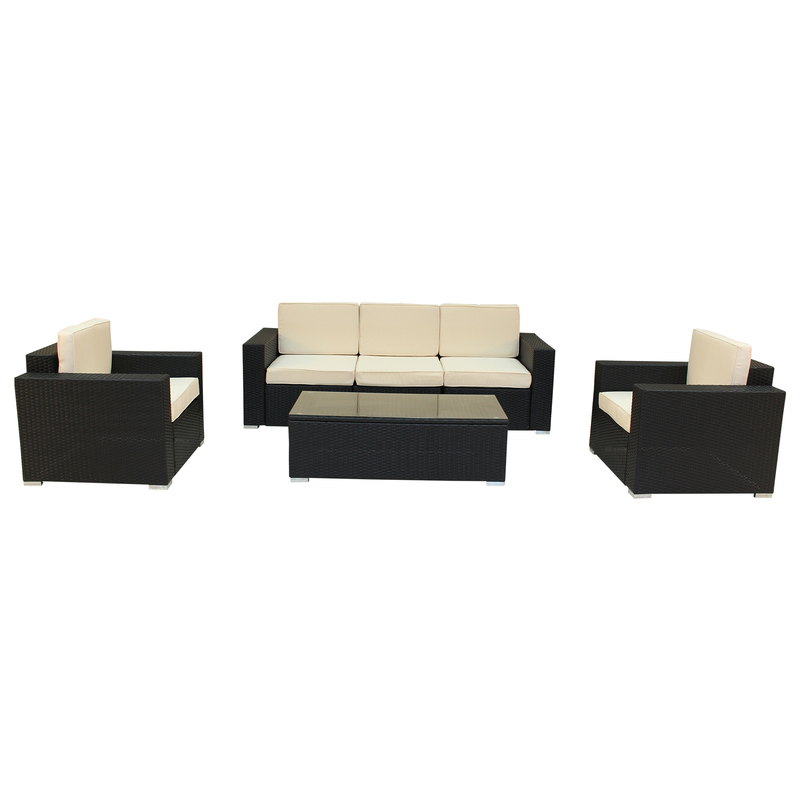 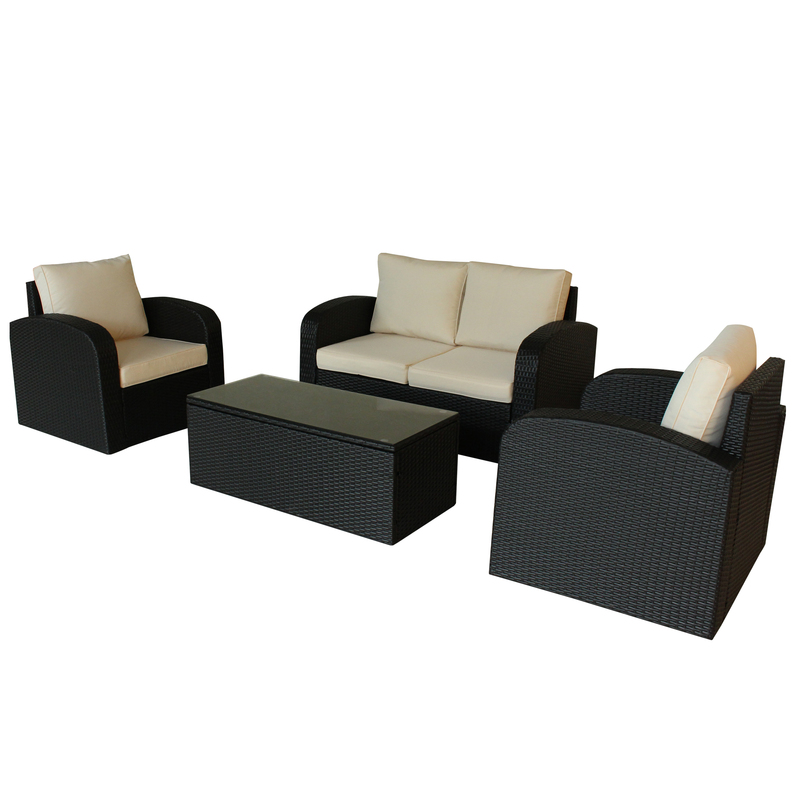 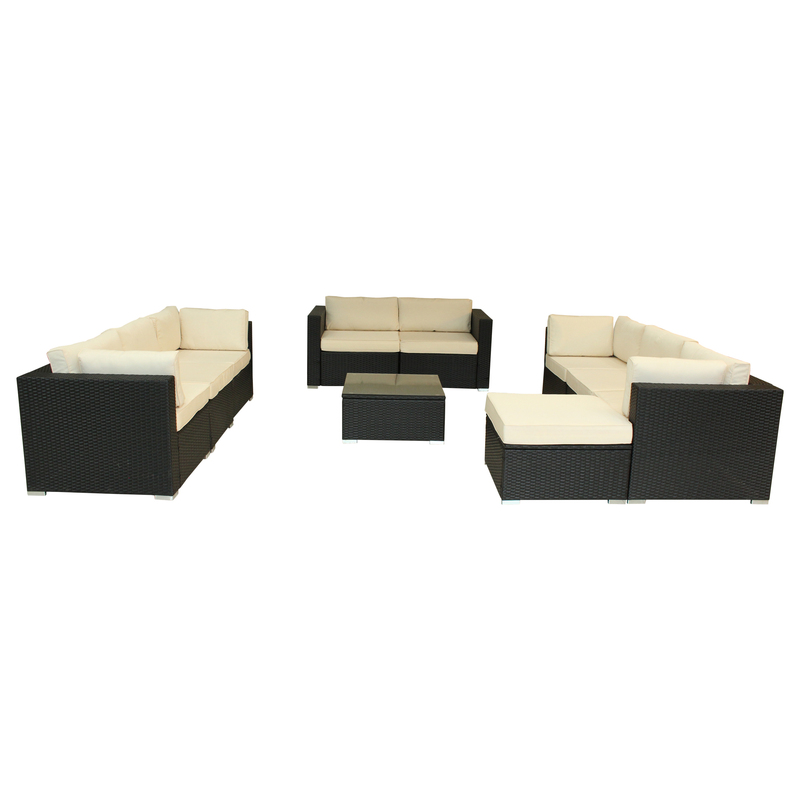 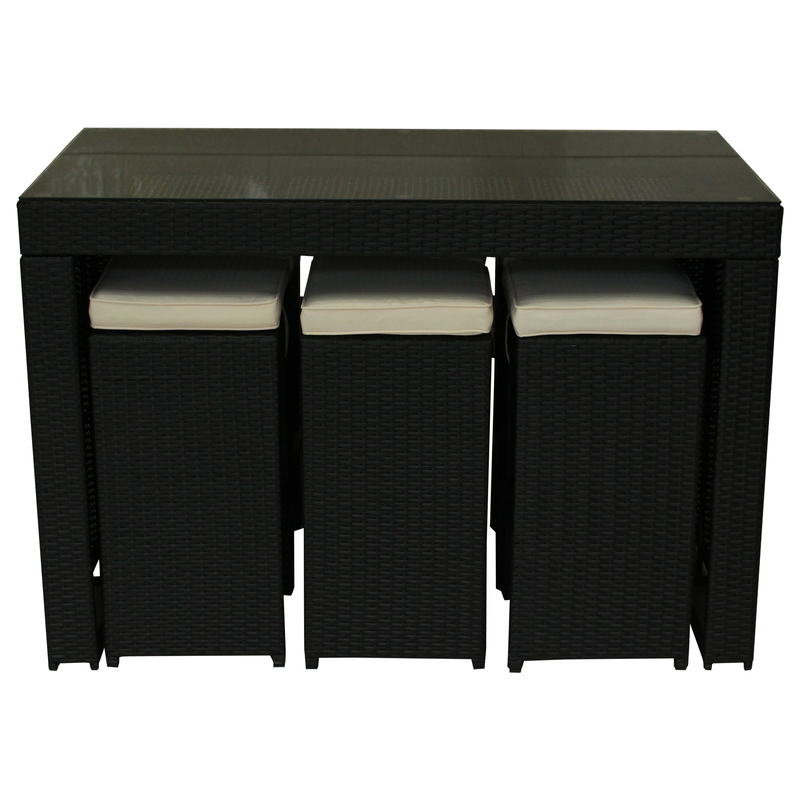 This high-end outdoor set contains wicker rattan chairs, sofa and table. 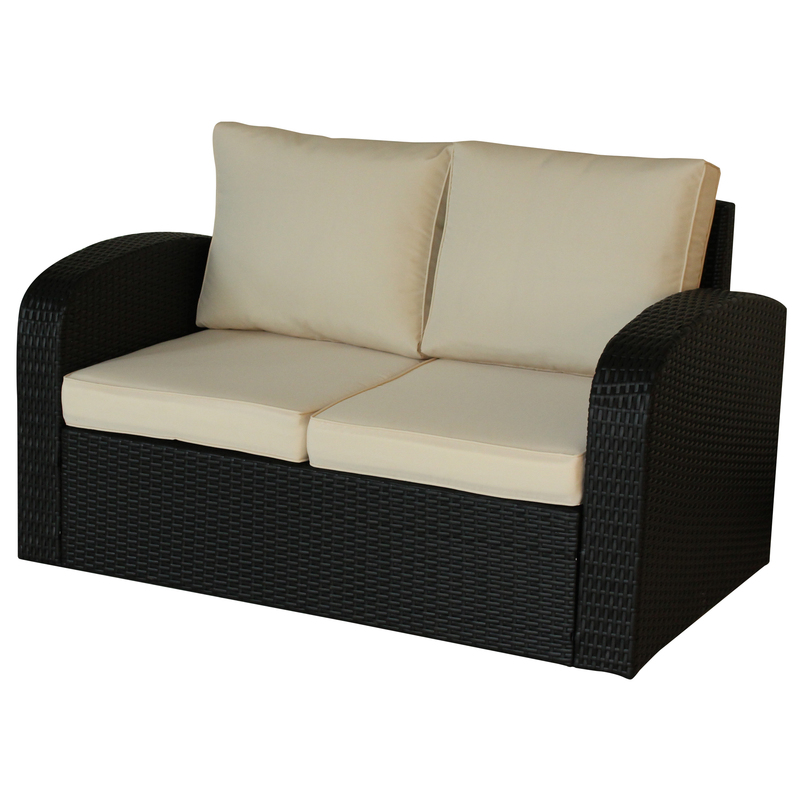 Water and UV resistant means it is perfect for any climate. 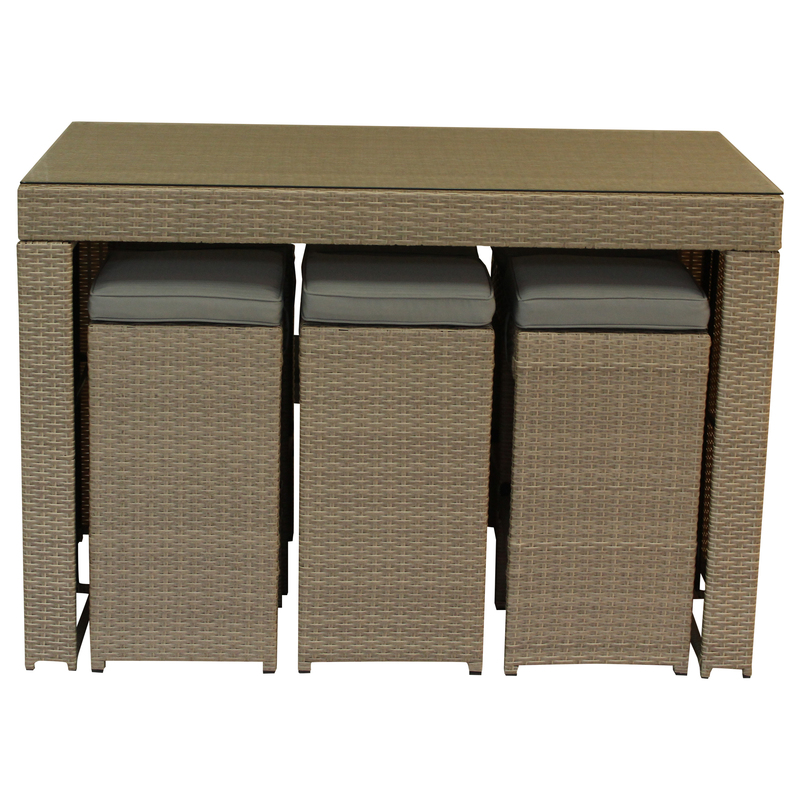 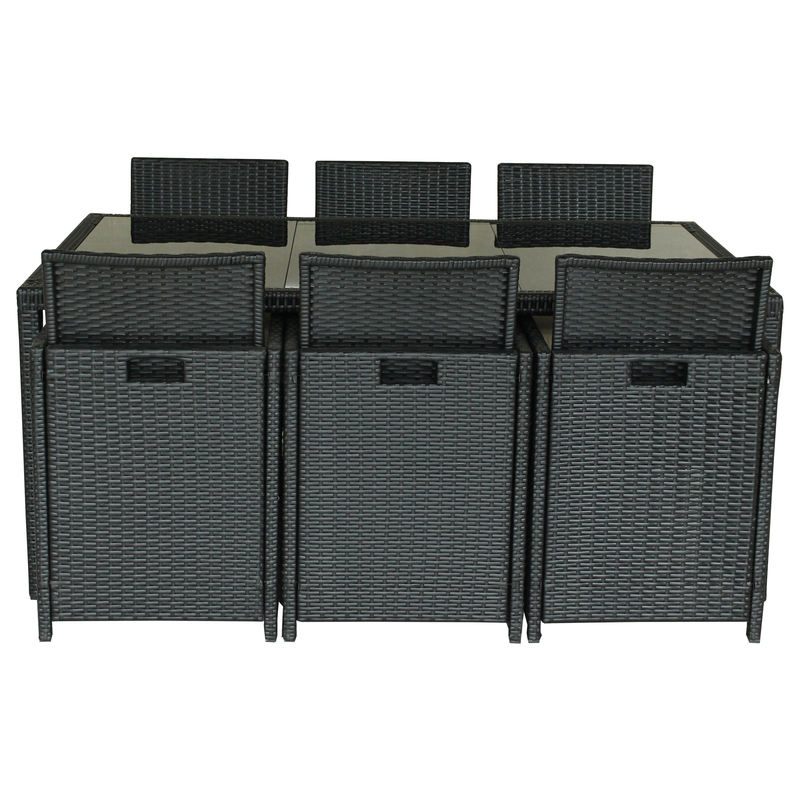 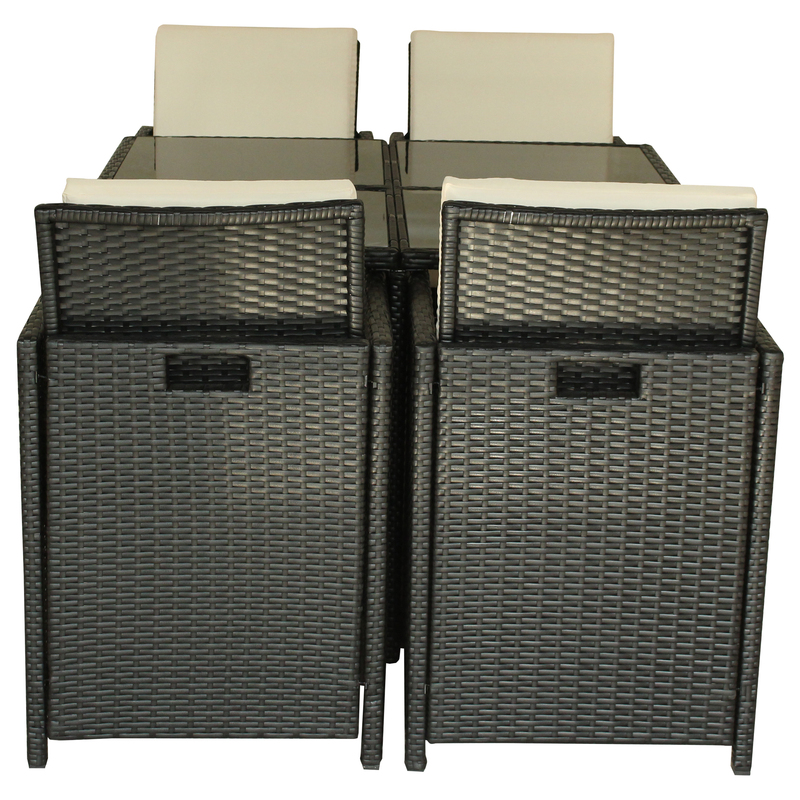 Create luxurious lounge area in your garden, deck, patio or poolside with this wicker rattan set. 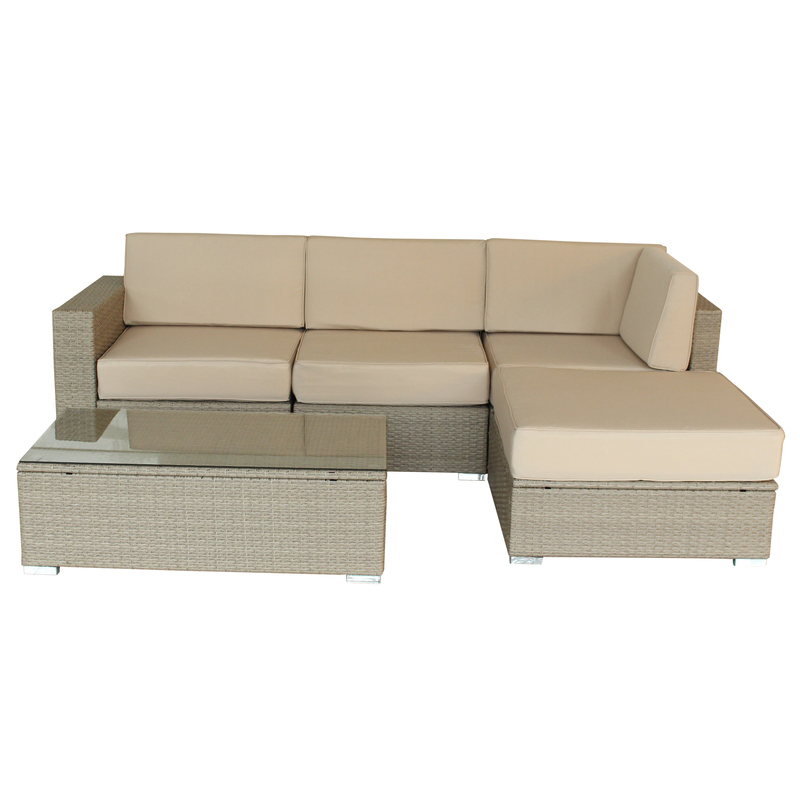 Thick, comfortable and water-resistant cushions will make your outdoor lounge favorite spot to relax and entertain. 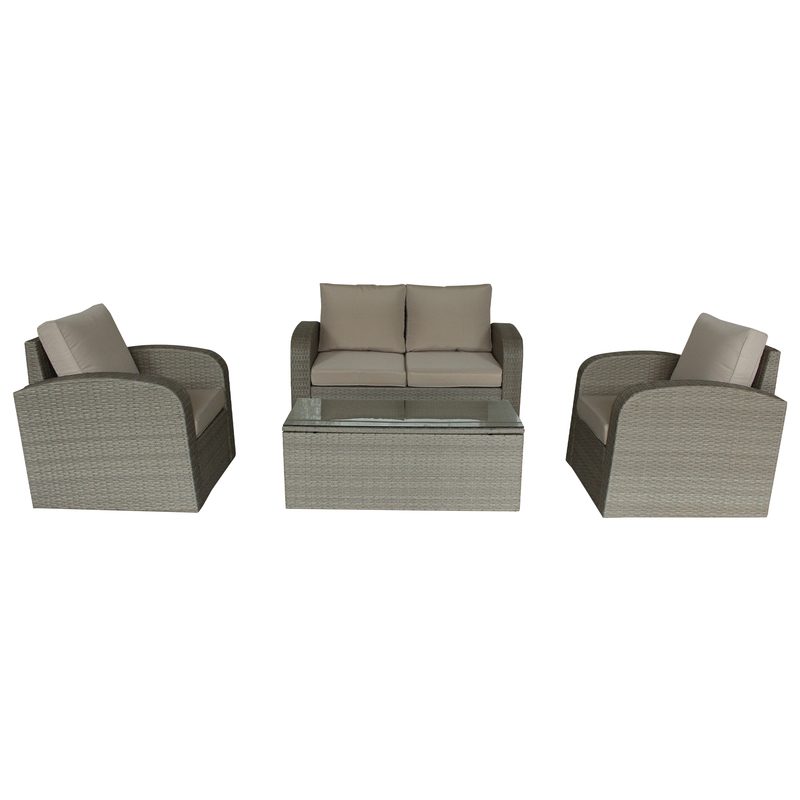 Aluminum frame makes this lounge set sturdy, yet easy enough to move.